A strange man clanks and clatters in the alleyways at four in the morning, picking up the castaway relics and trash from the town of Potter’s Mill. 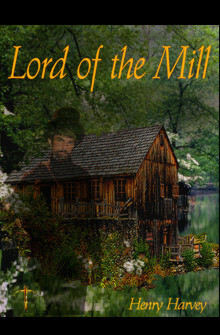 Among the children, it is said that he is the Lord of the Mill…Potter’s Mill, which is an abandoned ruin that squats in the middle of the O’Hanley River. He talks to the fireflies and has a snapping turtle for his watchdog. But his kingdom is a troubled one. A woman, perhaps a witch, has intruded into his domain. The sign on her Model A truck says, The Cake Lady. She delivers her cakes and candies and pastries door-to-door. But the children know differently. A vulture follows along behind her, watching and guarding. 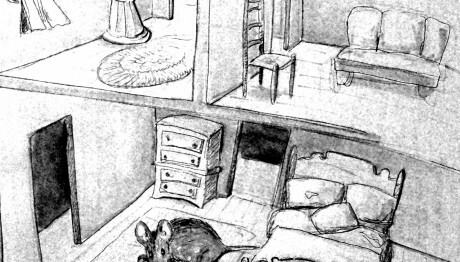 Her cottage in the woods is a repository not only of chocolates, sugar, and flour, but also of beetles’ legs and jars of moss, and the scales of butterfly wings. Her pastries change people forever. Charlie and Bobby follow the Lord of the Mill back to his ruins on the river. Though they’re frightened, they must warn him of his impending doom. Or is the Cake Lady the least of their worries? There’s someone else living in Potter’s Mill…someone truly evil.